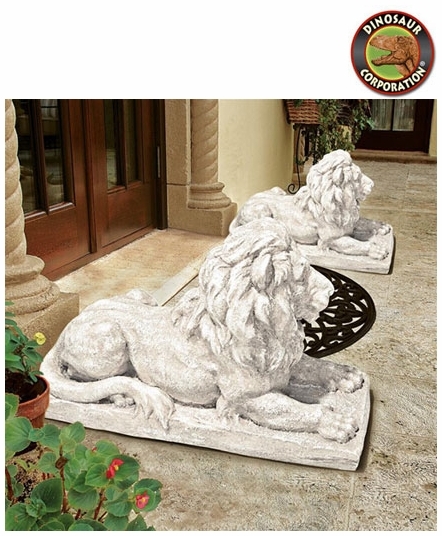 Lion Sentinel Statue are great outdoor garden entrance sculptures.. Our classic cats announce themselves as majestically poised protectors who make a royal statement as they recline regally outside your front entryway. 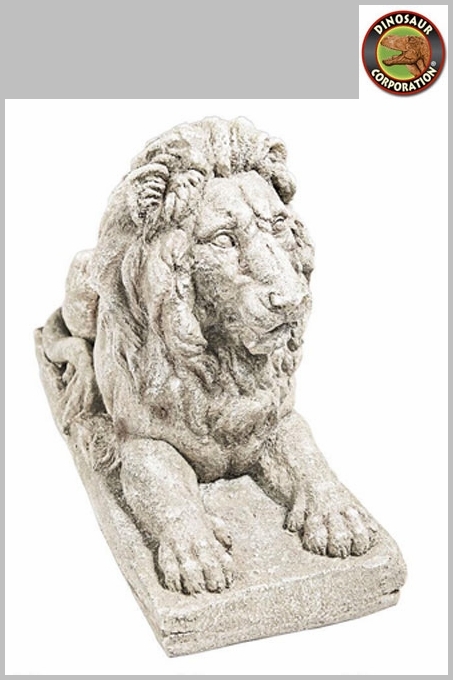 Meticulously cast in over two feet of quality designer resin, they are finely finished. * Size: 27" W x 10" D x 16�" H.
* Base: 26" W x 9" D x 2" H.